Delta Phi Lambda Sorority, Inc. is a non-profit organization that advocates Asian awareness and empowers women to lead through values-based programs and everlasting sisterhood. 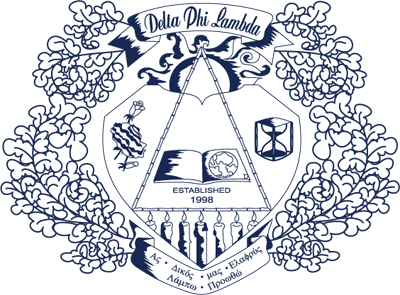 Delta Phi Lambda's national philanthropy is osteoporosis education and prevention, emphasizing the importance of promoting healthy lifestyles and behavior in young women. Founded in 1998, Delta Phi Lambda Sorority, Inc. has grown to 19 undergraduate chapters in 11 states spanning the Southeast and the Midwest. "Delta Phi Lambda Sorority, Inc. advocates Asian awareness, empowers women leaders through its values-based programs, and forges Everlasting Sisterhood through diverse shared experiences."